The Komodo National Park Office recorded that the United States was the main contributor of foreign tourists to Komodo Park from January to April 2018, reaching a total of 3,078 people. "Foreign tourist arrivals in the first quarter of 2018 were dominated by the United States, with 3,078 visitors, from the total figure of 27,550," Head of Sub-Division of Administration of the Komodo National Park Dwi Sugiarto stated here on Saturday. Sugiarto pointed out that countries that dominated tourist arrivals to Komodo during the January-April 2018 period were the United Kingdom, with 2,952 visitors, and Australia, with 2,831 travelers, in addition to 2,364 German tourists, 1,386 Dutch, and one thousand tourists from Italy. 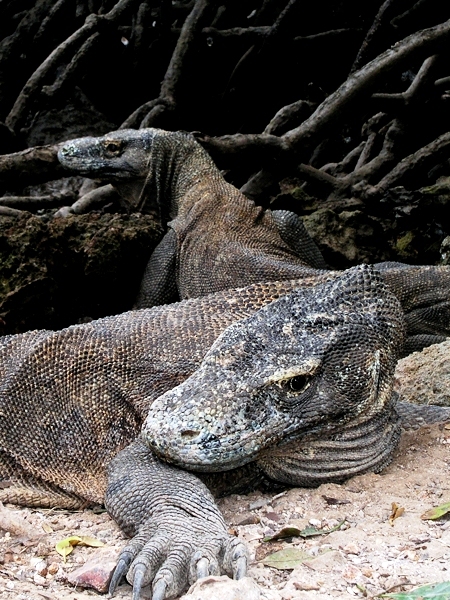 Sugiarto noted that the flow of tourists to Komodo Park, one of the 10 national flagship tourist destinations, was dominated by foreign visitors. The total number of tourists visiting during the time was recorded at 45,630 people comprising 27,550 foreign tourists and 17,640 domestic tourists. According to Sugiarto, the flow of tourists increased sharply as compared to the first quarter in 2017, in which only 38,147 people were recorded. This increase is supported by various intensive promotion efforts by relevant government agencies in the region along with the central government and tourism business players. He noted that the number of tourist arrivals in 2017 was recorded at 125,069 people dominated by 76,612 foreign tourists, while domestic travelers reached 48,457 people.